Hope Hicks is the current spokeswoman for the president of United States, Donald Trump. She was the press secretary for the presidential campaign of Donald Trump, 2016. 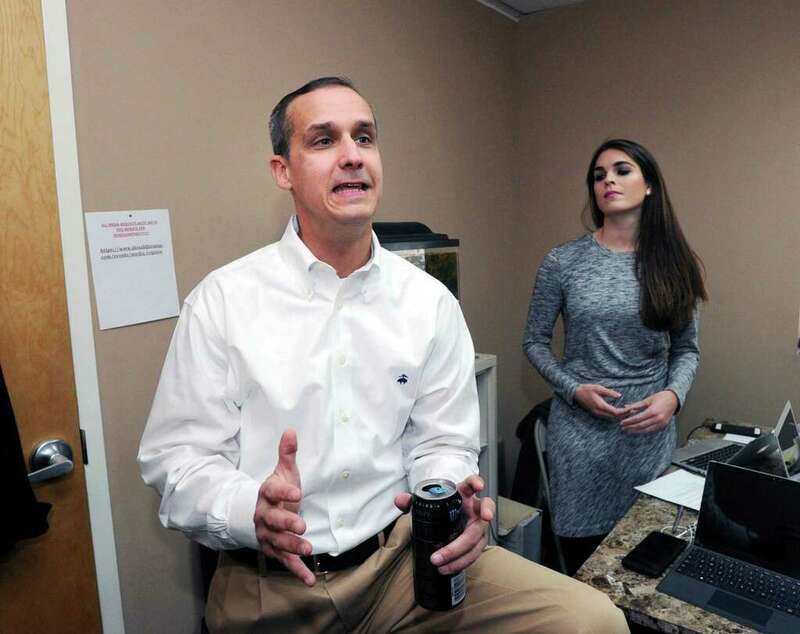 There are many rumors surrounding about Hope Hicks affairs and boyfriends but her relation with Corey Lewandowski is the only one known till date. Let's learn the details here. Hope Hicks was born in 1988 and grew up in Greenwich, Connecticut in the United States. The daughter of Caye Hicks and Paul Hicks III. Hope Hicks was not much involved in politics during her childhood, though her mother was a legislative helper for a Democrat from Tennessee and her father was chief of staff for a Republican congressman from Connecticut. Hicks is also a former athlete who knows swimming and thereby has played lacrosse for four years being the co-captain of the team at Greenwich High School. Similarly, at the small age of 11, she got famous as she along with her sister, Mary Grace Hicks, was hired as a model for Ralph Lauren. She played a small role on the soap opera, Guiding Light and also became the face of the Hourglass Adventures, a series of novels. Image: Hope Hicks posing for a picture. Hicks joined a public relation firm, Hiltzik Strategies in 2012 after she graduated from Southern Methodist University. She has worked for Ivanka Trump’s fashion line and the Trump organization. In January 2015, Donald Trump picked her as his press secretary for his presidential campaign. Though she never showed interest in politics, she has managed to impress her bosses and now she is the part of the Trump Administration as the Director of Strategic Communications. Even though she is working for The Trump Administration, we hardly get to see her in cameras. She managed all the tweets of Trump in his campaign but we didn’t find any of her personal accounts. Lack of her reaction might be the reason why we found a parody account “HicksNoComment”. As she has a rare public appearance, we must say, she has managed to keep herself away from paparazzi. Image: Corey Lewandowski and Hope Hicks. Hope Hicks affairs and boyfriends. Inactive in social media, Hicks has managed to keep her relationship in the shadows. She was in a relationship with Corey Lewandowski, the former campaign manager of Donald Trump’s 2016 campaign. But, the six years long relationship became shaky as she couldn’t manage enough time away from her profession. She was unable to give her private life the attention it needed. An American political operative, Corey was fired from his job for his misbehave with a female reporter in June 2016 and Hicks worked in his defense. Currently, Corey is a political commentator at CNN. A rumor has it that the couple had a public quarrel. According to an eyewitness, they fought on the street, and Hope screamed at Corey with clenched fists while he was standing with his hands on his head. But no one knows the actual reason for their fight and there is nothing we can do about it. What do you guys think about Hope Hicks? Please, leave your comments below. Stay updated Frostsnow for more information. Chresanto Romelo August, known as Roc Royal, replaced by new member- Mike in Mindless Behavior.